Welcome to the final stop of the Great American Poker Trip. My name is Jack Laskey and I’m a co-host of the Just Hands Poker Podcast. My partner in podcasting and other degeneracy, Zach Resnick, and I started in Washington D.C. and have made our way out to California on a poker-fueled road trip. Along the way I’ve taken some time to reflect on the trip highlights and the poker scene across the country. Last week we were in the Coachella Valley, and now we are in the Los Angeles, our ultimate destination. Outside of the WSOP, there are easily 10 times as many people playing poker in LA than in Las Vegas at any given time. Unlike Las Vegas, where almost all of the poker happens on the Strip, the LA poker scene is spread out across the city in huge standalone card rooms. For example, The Commerce, one of the only LA casinos listed on Bravo, tends to have a comically high number of tables running. On a night where the Bellagio has 20 tables going, Commerce is liable to have 100. 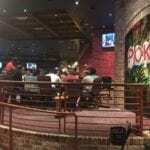 The size of the LA poker scene has allowed it to retain a lot of unique characteristics as other poker rooms across the country have standardized. Initially, the most disorienting of these qualities is the chip colors. Apparently unaware of the red/green/black colorings for $5, $25, and $100 chips, respectively, LA casinos have opted for a yellow/purple/white arrangement. While I’m partial to the yellow and purple colors, the white $100 chip is dangerous. In almost every other casino, the white chip is worth $1 and is the most commonly tipped chip. Hollywood Park at least addressed this issue by making the white $100 chip larger. However, the different sized chips made the process of betting a little awkward for me. Another LA tradition that hasn’t quite percolated throughout the rest of the country is horribly mistreating the staff. Admittedly, the mistreatment isn’t terrible outside of The Commerce, but it isn’t great. 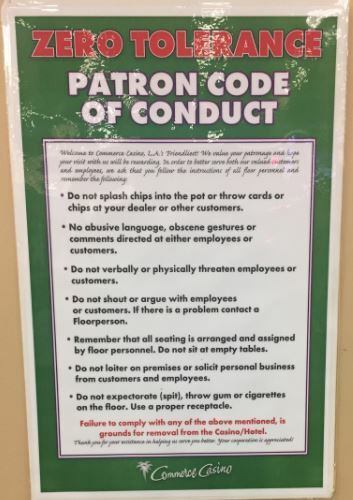 At The Commerce, a dismal brew of a genuinely poor staff and poker players who have embraced the malcontent stereotype led to the flyer below being posted around the poker room. I now believe every story I’ve ever heard about dealer/player interaction at The Commerce. A big highlight of the trip for Zach and I was playing on Live at the Bike, a streamed cash game at The Bicycle Casino. 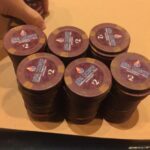 We played in an excellent $5/$10/$20 game with some of the Live at the Bike regulars including Israeli Ron. Dragging a $5k pot against Israeli Ron with thousands of people watching was among the more thrilling moments of the trip. 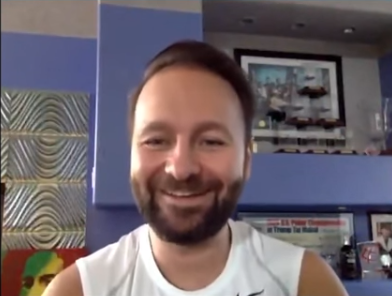 The footage from that game is no longer available, but Zach and I recently returned to LATB to do a coaching event for Just Hands Poker Podcast listeners. Check it out below to see their awesome set-up! 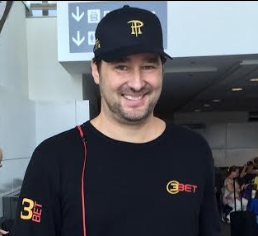 Zach and I arrived in LA pumped to play in legendary poker rooms like The Commerce and The Bike, but once we were in the mix we kept hearing about the games at Hollywood Park. Being located near LAX and the airport hotel where we were staying in anticipation of morning flights to NYC and SF, Hollywood Park seemed like a logical place for a last session of the trip. We naively expected to play a couple hours of $5/$5 and get a good night’s sleep to prepare for the morning’s travels. The plan began to go awry when we agreed that the $5/$10 uncapped game appeared much more promising. As has been the case with other poker trips ending with a morning flight, an all-nighter ensued. We left Hollywood Park a little bit richer, extremely satisfied with the trip’s poker volume, and ready to head back to real life. To be honest, it was not the action but rather the people at Hollywood Park that kept me glued to my seat until the break of dawn. I can’t imagine a more Californian lineup than what I experienced that night. Among the game’s participants were a tech millionaire talking about his recent purchase of his first vineyard, a convicted drug dealer in between his sentencing and the beginning of his time in prison, a poker pro/medical marijuana entrepreneur, a finance guy who plays in the biggest underground LA games, and an extremely stereotypical image-conscious entertainment industry professional. The game was extremely raucous, boastful, gambly, but not at all in a drunken way. Conversation was constant, a rarity at most casino games, and straddled topics from the importance of gamification in tech to the California justice system. The food was heavily comped and delicious. Hollywood Park is the only place I’ve ever played with a poker host, a poker player who works for the casino and is in charge of advertising games and making sure the players are happy. She recommended the lamb osso bucco, not a dish I’d normally consider at the poker table, which was succulent. For all of the money flying across the table, everyone maintained a cheery mood. This was in large part due to the weakest players at the table winning a lot of the money. When that’s the case, there’s a feeling among the losers that their losses are temporary. Eventually the game broke, I got a haircut, and then went to the airport. 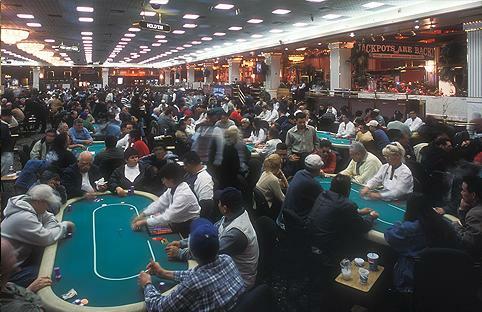 Hollywood Park’s poker room isn’t small, but it isn’t as big as many other LA casinos. There was a list for basically every game in the room even though all of the tables were full. In terms of stakes for NLH, the room has anything most people would want. However, the $5/$5 game is capped at 100bb which means deep-stacked play is reserved for $5/$10 and $10/$20. The game at Hollywood Park is fantastic. There is an amazing ratio of recreational players to professionals. The people you think may be pros generally turn out otherwise. Games are deep and do not lack for action. I’ll be playing here anytime I use LAX and have time. The atmosphere in these games is the nuts. They even have a poker host to keep people happy! Leave your headphones at home and enjoy the fine folks of Hollywood Park. The food is fantastic. 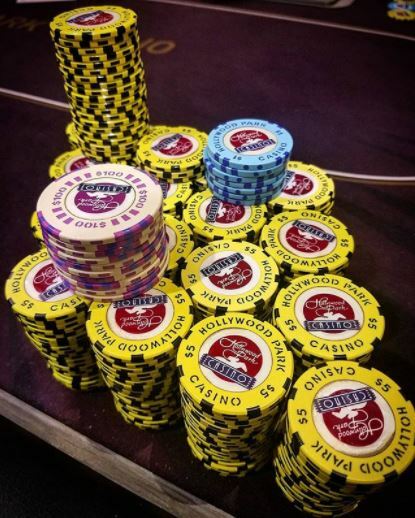 Everything else is on par with what you’d expect from a busy, well-functioning poker room. The service is head and shoulders above The Commerce. 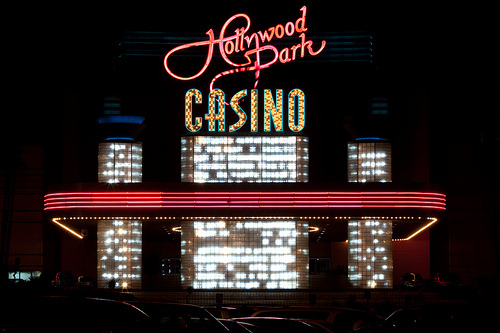 For the traveler, Hollywood Park is a sublime location, about 15 minutes by Uber from LAX. This is only going to improve, as they are building an NFL stadium on the same property as the casino. Parking could become an issue, but action will not. I definitely wish I hadn’t waited till the last night of the trip to play at Hollywood Park. 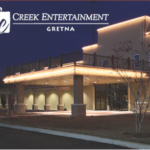 It is a fantastic poker room with great action, great people, and great food. I’ll be back soon. 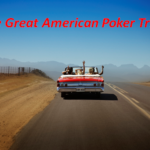 I played at 24 different card rooms over the course of six weeks during the Great American Poker Trip. I spent a lot of time trying to identify cultural differences between the different rooms and regions. 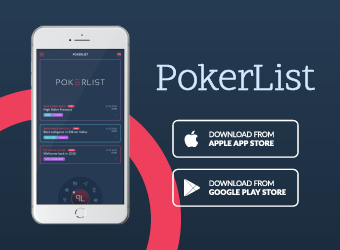 While those difference were notable and are well-documented in this series, the commonalities between poker communities throughout the country were much more striking. Dynamics between the different stakes, between pros and rec players, and during the games were shockingly similar from room to room. Some players in every room made the same types of mistakes, repeated the usual sayings, and berated dealers when the cards didn’t fall their way. 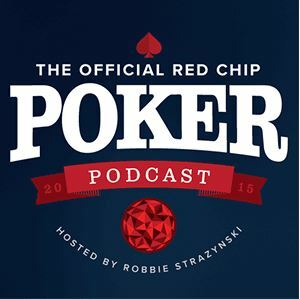 Poker players share an unspoken but powerful bond that reverberates throughout a card room. We revel in the misunderstood sophistication of our foremost hobby or profession. 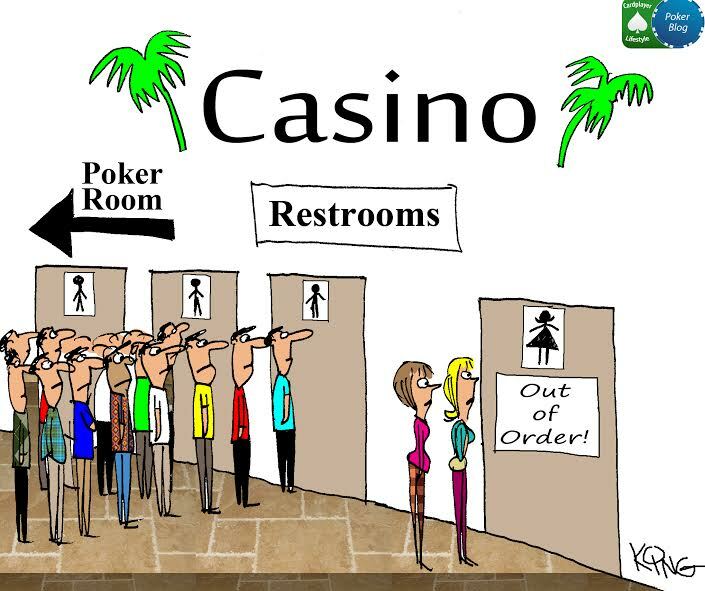 We laugh at other gamblers in the casino, even if we are a lifetime loser. Relationships at the table generally fall in the range of affable to adversarial, but there is always a level of gratitude for each others participation in this crazy game. 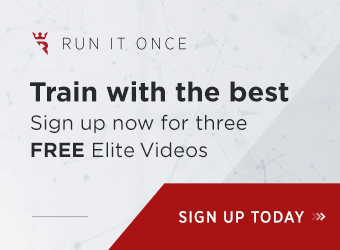 It’s a safe space for risk, deception, competition, the highest highs and the lowest lows. There is compassion for the losers and celebration of winners, since everyone has experienced each. I have sincerely enjoyed meeting everyone I’ve had a chance to play with or speak with along this journey across the country. Months later, as I finish up this series of articles, many of the conversations I’ve written about as well as many that didn’t make the columns for one reason or another still reverberate strongly in my mind. 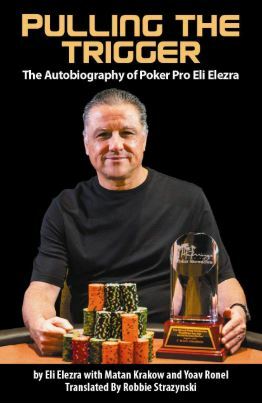 The trip has changed the way I think about poker, the role of poker in my life, and the role of poker in society. 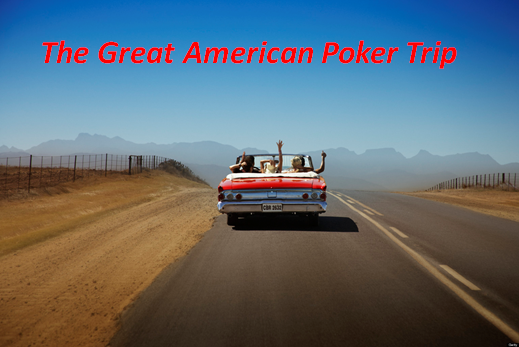 I strongly recommend mixing poker and travel to poker enthusiasts all over. It’s a great way to meet people and an excellent motivator to get out of the house. A special thank you to everyone who has read these posts and enjoyed the ride alongside Zach and I. 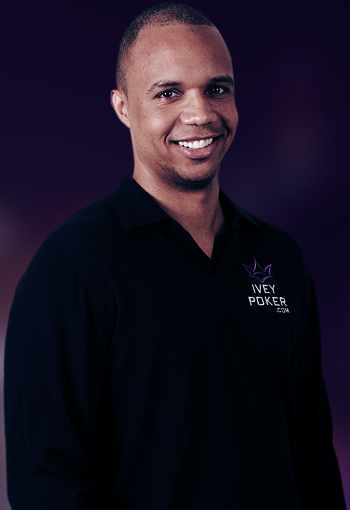 It has been a pleasure to have this platform here at Cardplayer Lifestyle to reflect on a truly special experience. Until next time!